Marvel has released a new trailer for Avengers: Endgame, offering an extended look at the aftermath of Thanos' devastating "snap" and a brief peek at Brie Larson as Captain Marvel. The upcoming superhero team-up film is set to premiere on April 26, 2019. 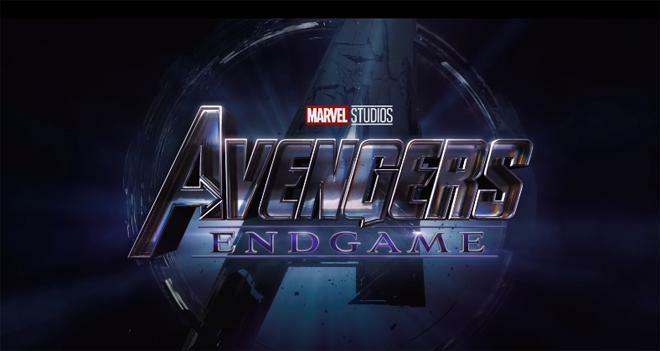 Avengers: Endgame stars Scarlett Johansson as Natasha Romanoff / Black Widow, Chris Hemsworth as Thor, Robert Downey Jr. as Tony Stark / Iron Man, Jeremy Renner as Clint Barton / Hawkeye, Paul Rudd as Scott Lang / Ant-Man, Chris Evans as Steve Rogers / Captain America, Brie Larson as Carol Danvers / Captain Marvel, Mark Ruffalo as Bruce Banner / Hulk, Elizabeth Olsen as Wanda Maximoff / Scarlet Witch, Chadwick Boseman as T'Challa / Black Panther, Tom Holland as Peter Parker / Spider-Man, Chris Pratt as Peter Quill / Star-Lord, Benedict Cumberbatch as Dr. Stephen Strange, Zoe Saldana as Gamora, and more as they pick up the pieces left by their devastating showdown with Josh Brolin's villainous Thanos in the previous film. The movie comes from directors Anthony and Joe Russo with a script by Christopher Markus & Stephen McFeely. Meanwhile, other upcoming Marvel films include Spider-Man: Far From Home on July 5, 2019. In addition, 20th Century Fox is bringing X-Men: Dark Phoenix to theaters on June 7, 2019 and The New Mutants to theaters on August 2, 2019.